ADA – Coming off the bench, Will Patrick led Wilmington College to a 78-60 win Wednesday over Ohio Northern in Ohio Athletic Conference men’s basketball action on the ONU campus. The Quakers improve to 11-6 overall and 7-4 in the OAC. The Polar Bears fall to 4-14 overall and 0-11 in the conference. Wilmington won the first meeting of the season, 93-84, on Dec. 5 at Hermann Court’s Fred Raizk Arena. Patrick had 19 points to lead all scorers. 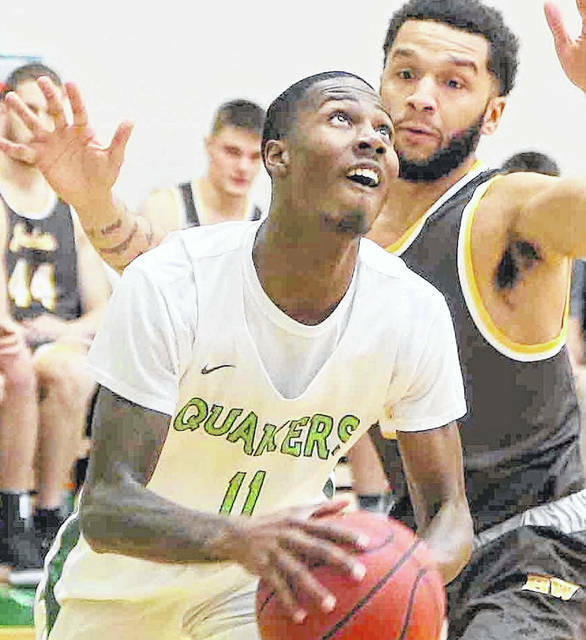 Wilmington High School graduate Jeffery Mansfield came off he bench to share team-high rebound honors with seven while handing out two assists. Once Payton Smith broke scoring ice with a jump shot 20 seconds into the game, the Quakers never railed. Though they led throughout, Wilmington saw its advantage dwindle to one on several occasions, including 31-30 late in the first half. But WC went on 14-0 run capped by a Kevin Lewis layup at 17:28 of the second half and led 45-30 when ONU called a timeout. The Polar Bears remained in striking distance when Patrick drained a three-pointer at 15:08 and another at 13:54. The second three put the margin back at 15. Ohio Northern pulled within eight before the Quakers closed out the win scoring 14 of the final 18 points.